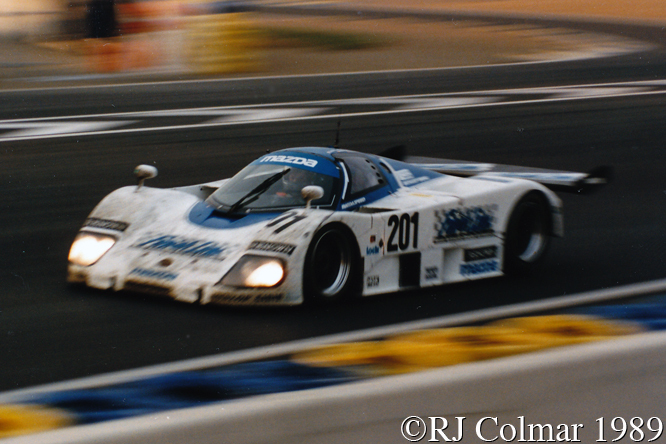 For their tenth visit to Le Mans in 1988 Mazdaspeed developed a new longer four rotor Wankel engine that produced 600hp and fitted it into a new Nigel Stroud designed 767 chassis that replaced the 3 rotor Wankel powered 757. Yoshimi Katayama, Youjirou Terada, Takashi Yorino drove a 767 to a 7th place finish in the 500km race at Suzuka in April 1988, the following month today’s featured chassis #001 made it’s first appearance at the 1000km race run at Silverstone where the car is seen above, it was driven to a 9th place overall finish and GTP class victory by Youjirou, Yoshimi and David Kennedy. 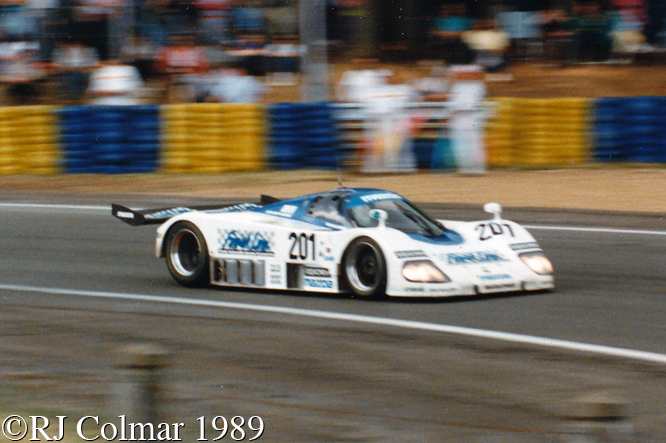 At Le Mans in 1988 chassis #001 was driven to a 17th place finish by Yoshimi, David Leslie and Marc Duez from 29th on the grid finishing two spots ahead of the sister 767 driven by Takashi, Hervé Regout and Will Hoy, but two spots the GTP class wining Mazda 757 driven by Yourjirou, David and Pierre Dieudonné. Back in Japan Youjirou and David scored the 767’s season high best result in the 500 mile race at Fuji where they finished 4th overall. For 1989 chassis #001 was upgraded to B spec which is most obviously differentiated from the original 767 spec by the side exhaust exiting the right hand side of the car looking from the rear. Chassis #001 was sent to the Daytona 24 hours where Yoshimi, Takashi and Elliot Forbes-Robinson finished 5th from 10th on the grid 62 laps behind the winning Porshe 962 crewed by Derek Bell, Bob Wollek and John Andretti. 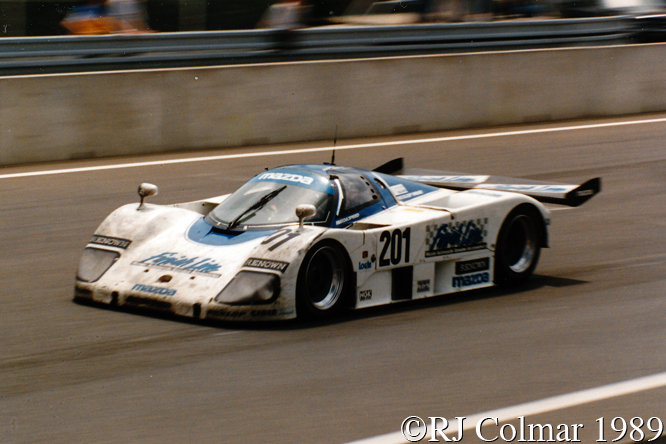 Back in Japan chassis #001 was retired from races at Fuji and Suzuka with fuel line and gearbox issues before starting it’s 1989 European tour with a 10th place finish overall and GTP class victory at Dijon with David and Pierre at the wheel. They were joined at Le Mans by Chris Hodgetts where chassis #001 crossed the line 7th overall with yet another class victory from 28th on the grid. These last three photographs show Pierre and David sharing #001 on the way to 13th place finsh and forth consecutive class victory from 18th on the grid at Brands Hatch. 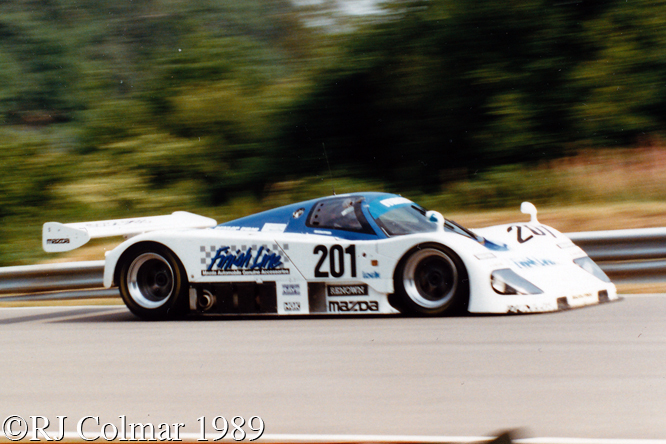 David and Pierre drove #001 to two further 1989 GTP class victories at Spa and Mexico before it was retired. 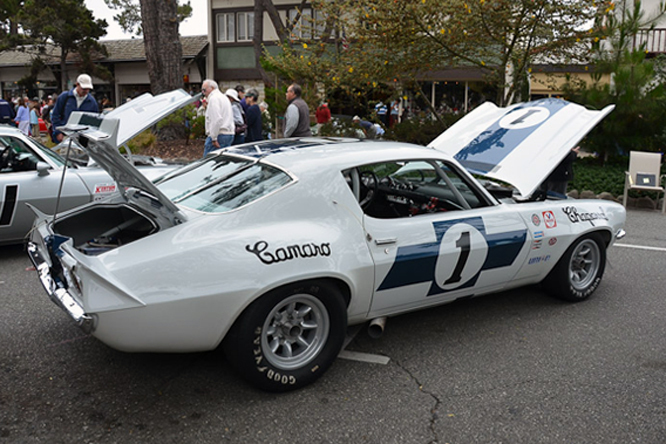 Thanks for joining me on this “600hp 4 Rotor Wankel” edition of “Gettin’ a li’l psycho on tyres” I hope you will join me again tomorrow when I’ll be looking at a Le Mans challenger from Ligier. Don’t forget to come back now ! 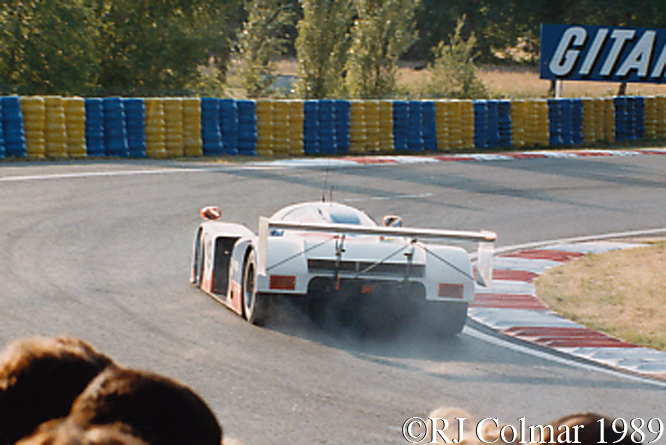 This entry was posted in Uncategorized and tagged 767, 767B, Brands Hatch, Colmar, Dieudonné, Duez, Forbes-Robinson, Hodgetts, Hoy, Katayama, Kennedy, Le Mans, Leslie, Mazda, Psychoontyres, Ralph, Regout, Silverstone, Stroud, Terada, Wankel, Yorino on June 15, 2015 by Ralph. In 1989 Group C sports car racing reached new heights popularity among manufacturers when Aston Martin joined in the fun as a manufacturer. 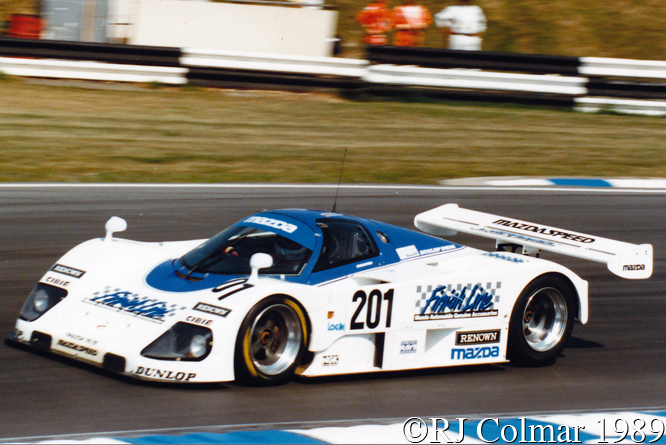 Aston Martin Tickford had supplied motors for the Nimrod Group C cars that were run from 1982 until 1984. They also supplied the even less successful EMKA Productions and Cheetah teams which ran sporadically from 1983 to 1985. 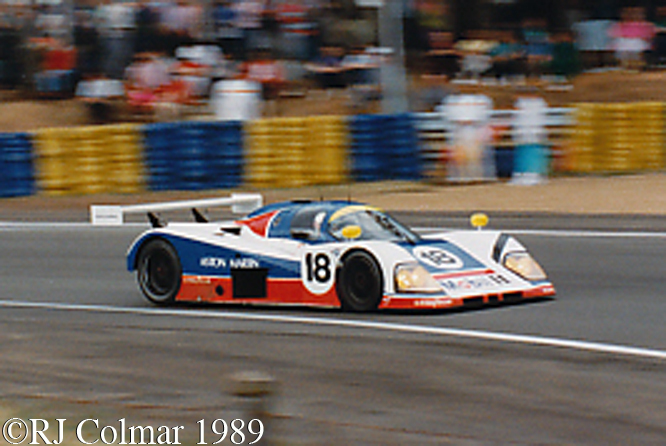 The seeds of the 1989 program were laid after an agreement between Aston’s owners Victor Gauntlet and Peter Livanos that Aston Martin should go the whole hog and manufacture a Le Mans challenger wholly in house. A month after they announced their plans Ford took a controlling interest in Aston Martin and to the surprise of Gauntlet and Livanous agreed the racing program should continue on condition that it did not interfere with Aston’s production vehicles and that it would require no finance from Ford recommending a separate company should be set up to run the racing operation. 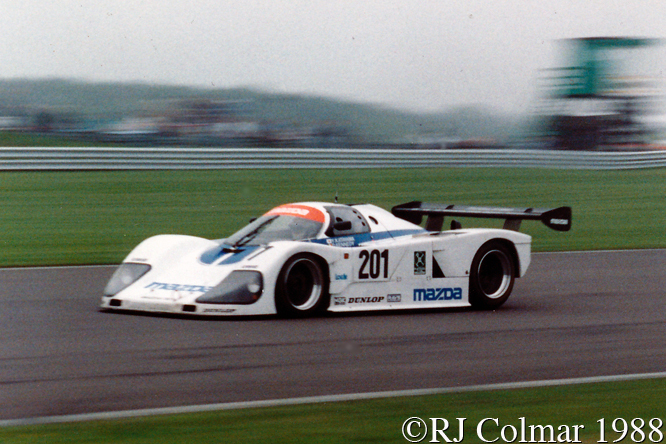 Aston Martin and Ray Mallock, using the Ecurie Eccose name with whom he had won the junior Group C2 championship in 1986 created a new company called Proteus Technology Ltd known as Protech. 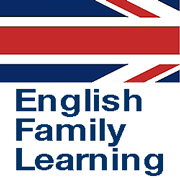 Protech was to be funded for six years to the tune of £26 million by the Livanos family. 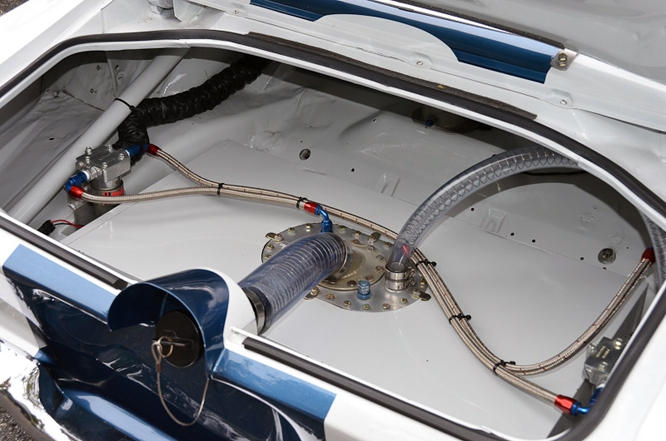 Callaway Engineering was engaged to develop the 5.3 litre Aston Martin Virage V8 motor into first a 600 hp 6 litre / 366 cui motor and later a 700 hp 6.3 litre unit. 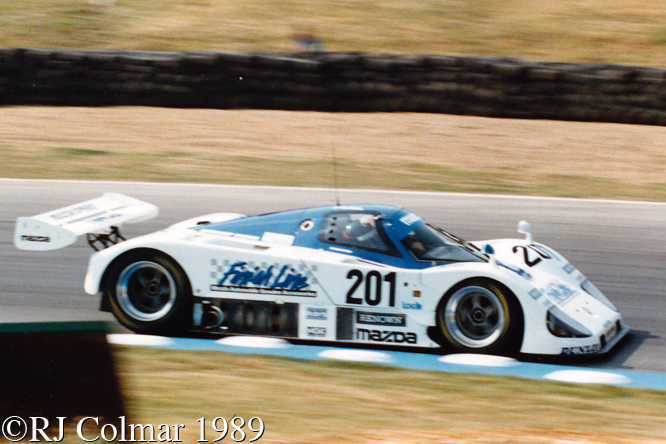 The team hoped to have the first cars, designed by Max Bostrom, racing towards the end of 1988 and when the deadline passed they prepared themselves for a start at the first Group C race of 1989. An accident during testing meant the team were without a car to take to the first race of 1989 and so attracted a US$ 250,000 fine for missing the race. 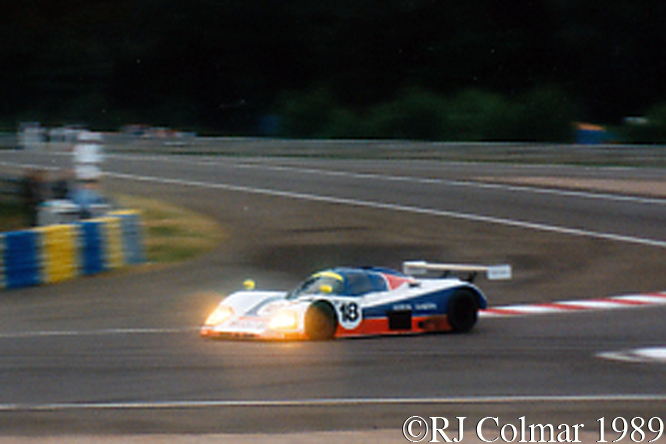 The AMR1’s first appearance was at Dijon where AMR1/01 driven by David Leslie and Brian Redman finished a distant 17th. 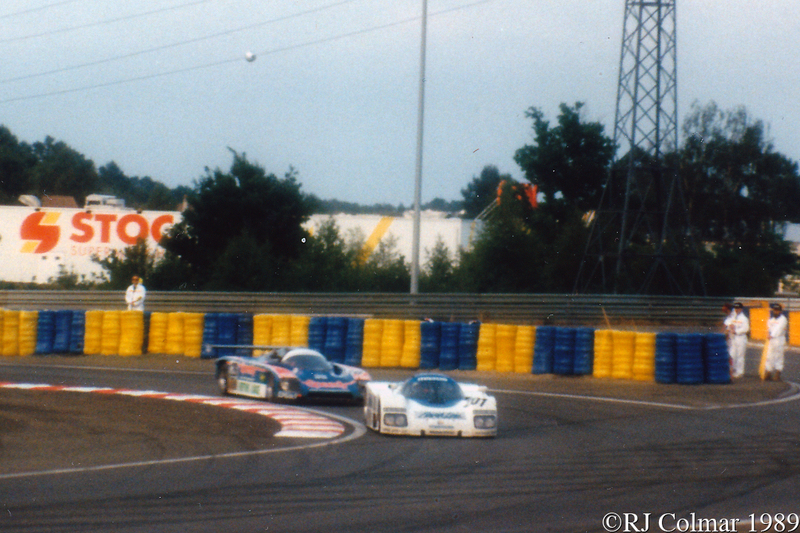 At Le Mans which was a non championship event two cars were entered the #18 AMR1/01 for Redman, Micheal Roe and Costas Los while the #19 AMR/03 was driven by Leslie, Ray Mallock and David Sears. Despite circulating in a wall of noise equal to anything heard in the NASCAR Sprint Cup the AMR1’s were short on horsepower and overweight the #18 qualified 32nd while the #19 could only qualify 40th. 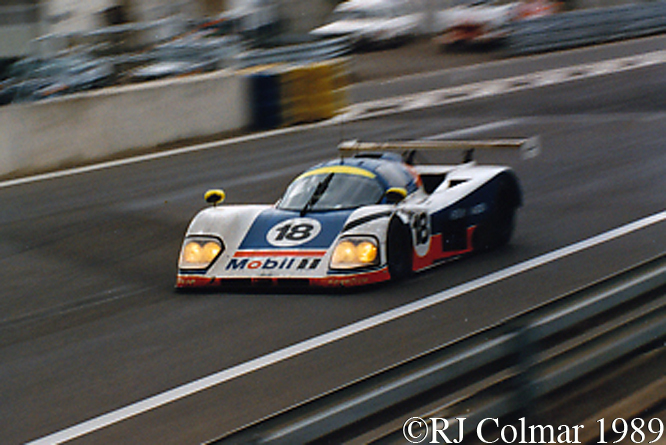 The #19, seen at Arnage below, eventually retired with electrical issues early on the Sunday morning of the race while the #18 soldiered round to an 11th place finish. In the next race, at Brands Hatch, Redman and Leslie scored the teams best result a 4th place finish. Aston Martin finished the season 6th behind Mercedes-Benz, two private Porsche teams, Jaguar and Nissan but ahead of the factory Toyota team. During the course of 1989 Bernie Ecclestone convinced the FIA that the future of Sports Car racing lay with 3.5 litre engine rules as required in Formula One from 1991. 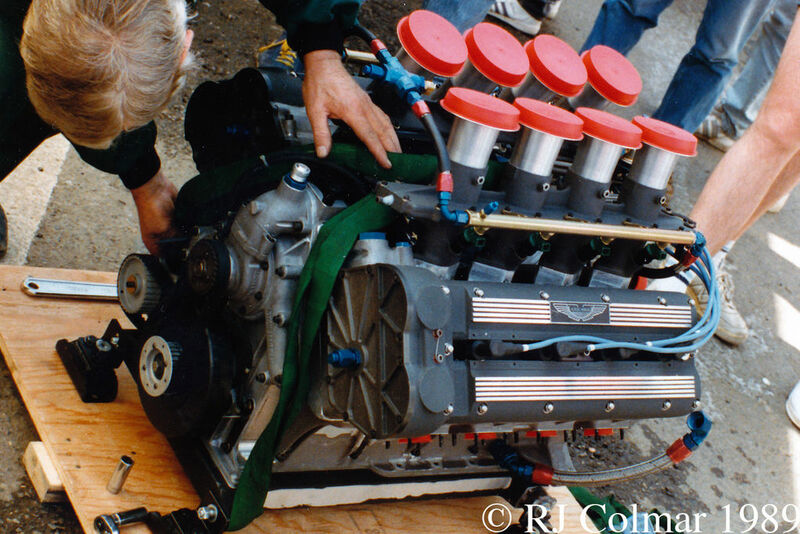 Aston Martin had no choice but to withdraw at the end of 1989 as they had no suitable engine and Ford had given the nod to Jaguar to use it’s own Ford Cosowrth HB V8 Formula One engine, and running the unfinished Aston Martin AMR2 for a year made no sense. 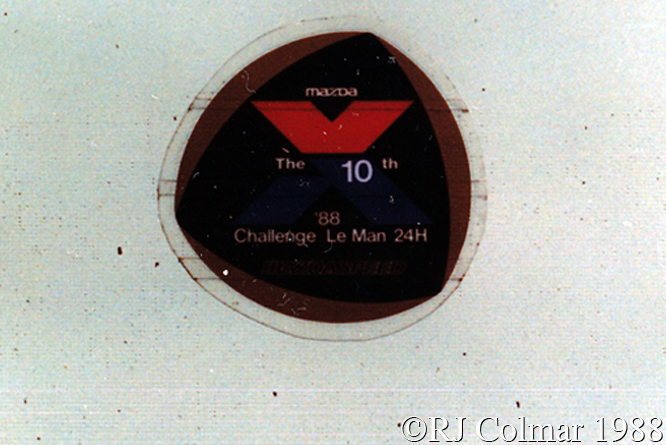 My thanks to fausto at The Nostalgia Forum for finding the link to the AMR2 wind tunnel models. Thanks for joining me on this “Wall Of Noise edition of “Gettin’ a li’l psycho on tyres” I hope you will join me again tomorrow. Don’t forget to come back now ! 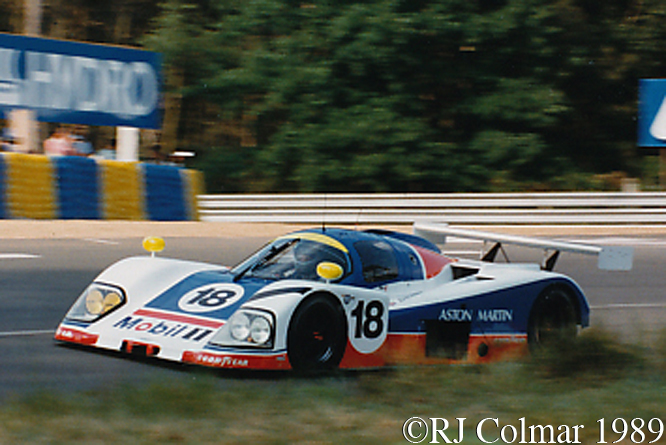 This entry was posted in Uncategorized and tagged AMR1, Aston Martin, Bostrom, Brands Hatch, Callaway, Colmar, Ecurie Ecosse, Ford, GALPOT, Gauntlet, HB V8, Jaguar, Le Mans, Leslie, Livanos, Los, Mallock, Protech, Ralph, Redman, Roe, Sears, Tickford, Virage on June 22, 2013 by Ralph. 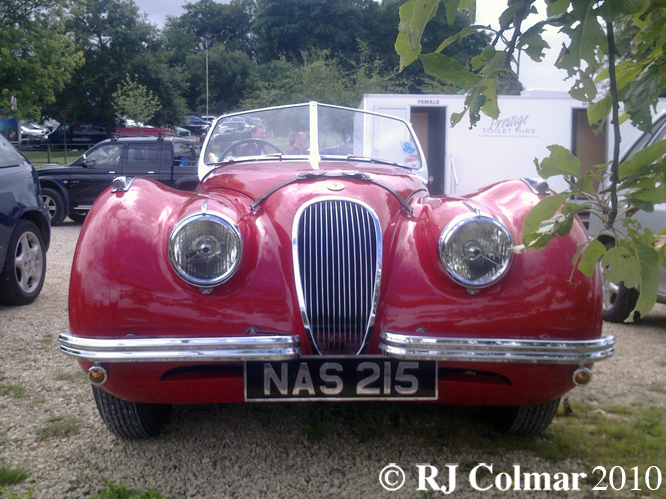 The post war success of the Jaguar Company was built around the twin overhead cam alloy head iron block XK engine which was in various guises from was in production from 1948 – 1992. The motor was designed by William ‘Bill’ Heyes and Walter ‘Wally’ Hassan prior to the outbreak of WW2 hostilities, during the period of hostilities Jaguar staff realised the design in between duties as fire watchman over the heavily industrialised city of Coventry which was a major target of German bombing raids. 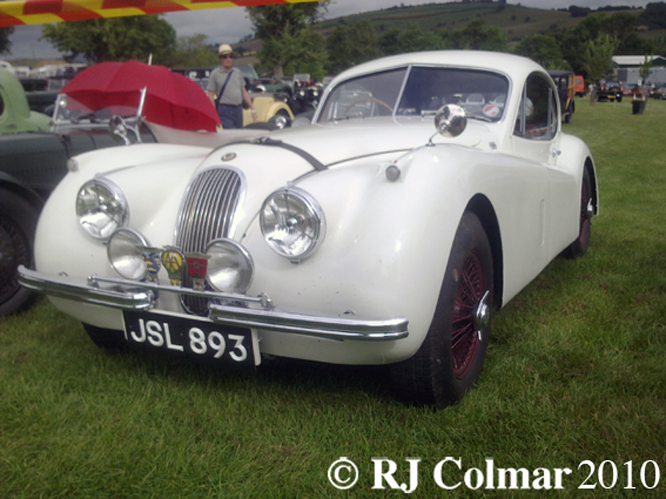 The XK 120 launched at the London Motor Show in 1948 was the first vehicle designed around a 160 hp 3442 cc / 210 cui version of the XK engine, at the time the XK 120 mph capability made it the worlds fastest production car. 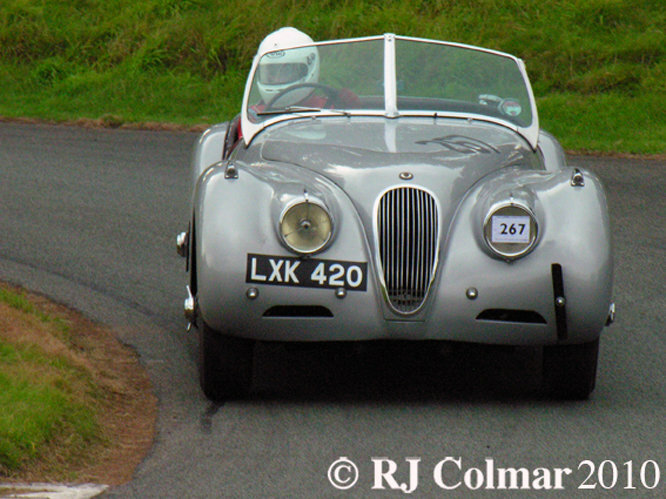 The racing and rallying success of the XK 120 is incalculable including the Daily Express One Hour Race in 1949, Class win at Palm Beach Shores, class win in the Mille Miglia both in 1950 all three with Leslie Johnson at the wheel and a 1,2,3, victory in the 1950 Tourist Trophy. 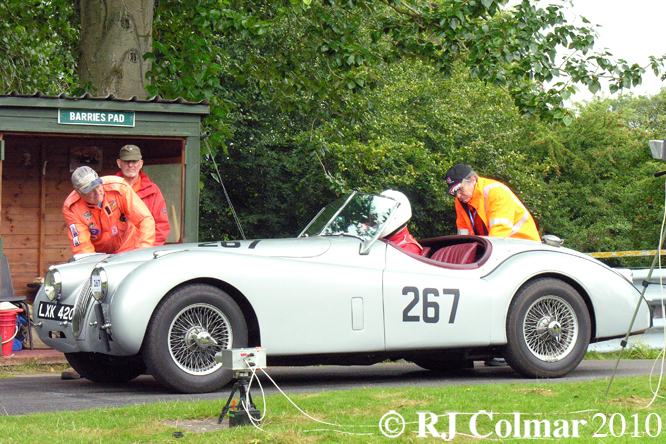 Ian Appleyard took overall wins in the Alpine Rallies of 1950 & ’51 and the first Alpine Rally Gold cup in 1952. 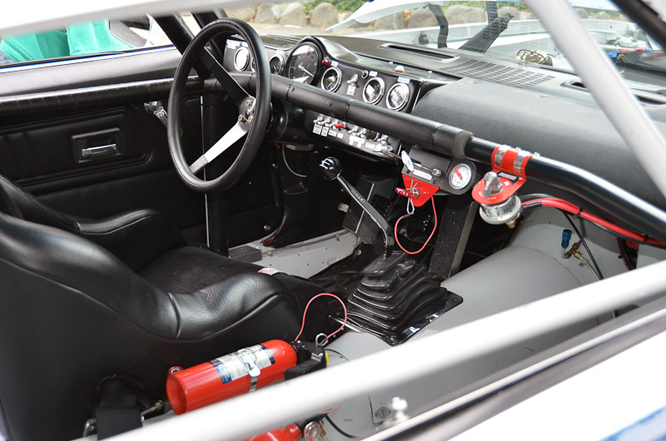 An XK 120 driven by Al Keller is also credited with being the only foreign ‘built’ car to win a NASCAR sanctioned event at New Jerseys Linden Airport in 1954 to name but a few. Leslie Johnson started a three year record breaking spree in 1950 at the 1.58 mile L’autodrome de Linas-Montlhéry outside Paris which features 30 degree banking. Sharing the driving in 3 hour stints with Stirling Moss for 24 hours they averaged 107.46 mph, covering 2579.16 miles in 1950. The following year ’51 Johnson drove 131.83 miles in one hour saying afterwards ‘the car felt so good it could have gone on another week’ sowing the seeds for the 1952 attack on the week speed record. In 1952 a four man team comprising Johnson, Moss, Hadley and Fairman only managed 96 hours at their first attempt at the week record, because a spring broke after 85 hours, Johnson drove with the broken spring for a further 9 straight hours to spare his compatriots any additional risk setting 96 hour, 72 hour and 10,000 mile world and class records all at over 100 mph. After the spring had been replaced the team then set a full seven day & night record of covering 16, 851.73 miles at an average speed of a staggering 100.31 miles and hour. The first 242 roadsters, of which the 1949 #267 driven by Roderick Spollon is one, were hand built with aluminium bodies on ash frames, as demand picked up by 1950 pressed steel bodies were used with aluminium bonnet, doors and boot lid. 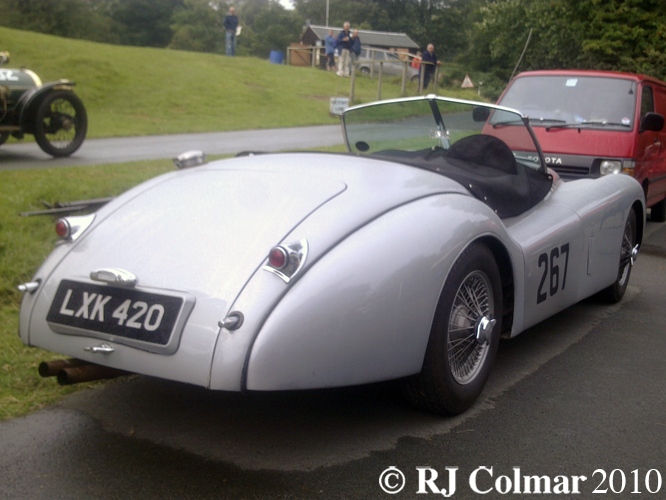 Production of OTS roadsters (no roof) , DHC (convertible) and FHC (steel roof) XK120 variants came to an end in 1954 when the XK 140 was introduced. 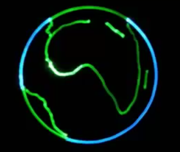 Hope you have enjoyed todays 120 MPH edition of ‘Getttin a lil’ psycho on tyres’ and will join me on a safari looking at some big cats in Africa as I continue my quest for new information about events that occurred long ago. Don’t forget to come back now ! 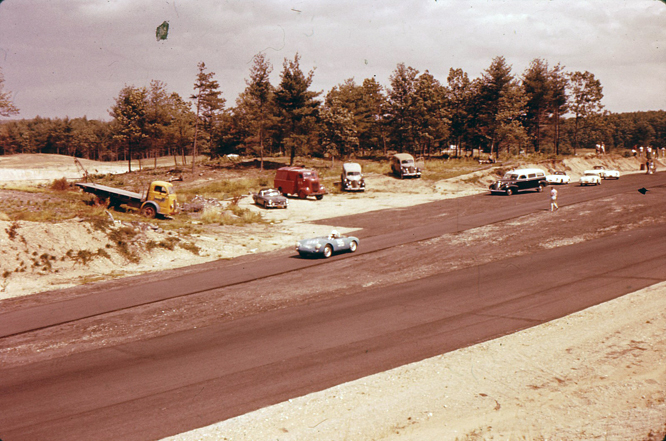 In memory of former XK 120 owner Barbara Weaver wife of ARCA and founding SCCA member George Weaver who recently passed away I am posting this photo by Ed Arnaudin of the pits complex at Thompson CT during it’s construction in July 1958. 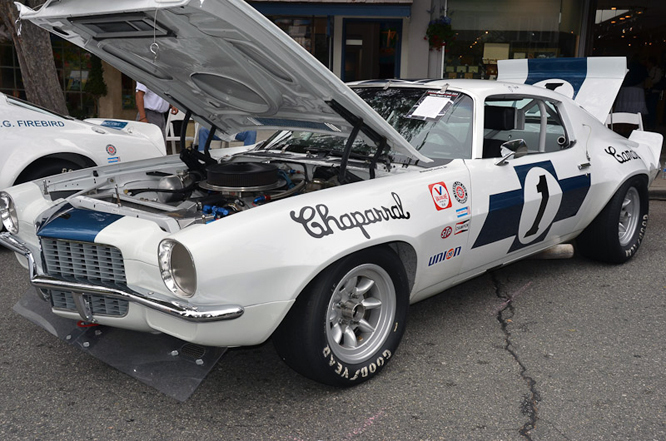 Barbara, who’s car carried the licence plate ‘SCCA’ and her husband located the Thompson CT site and with financial assistance from Briggs Cunningham the Weavers built and ran the road circuit until 1967, when land could no longer be acquired for the facility to expand. She was an affirmed motor sport aficionado allegedly falling in love with the Maserati belonging to her husband to be before falling in love with it’s lucky owner. Amongst many roles in motor sport she played host to Fangio, Shelby, George Constantine, Jackie Cooper and Joan Fontaine, Bob Holbert, Bob Grossman, the entire Cunningham team, Chuck Daigh, Lance Reventlow, and Walter Cronkite. A full and proper obituary of this wonderfully decidedly hands on character is linked here. Sincere condolences to Barbara’s family and friends. 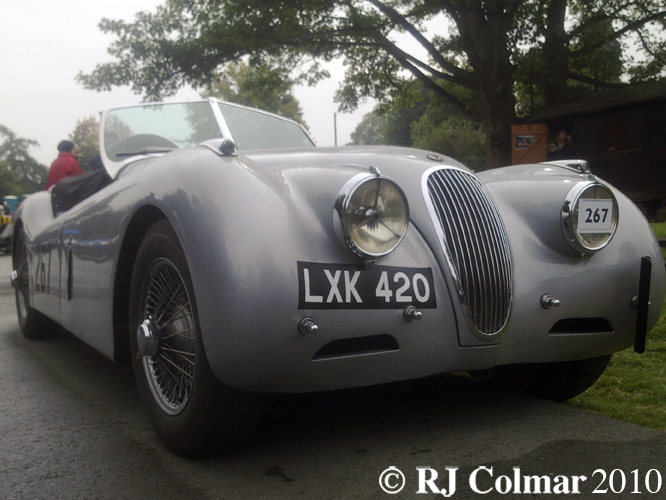 This entry was posted in Uncategorized and tagged 120, Appleyard, Art, Barbara, Coventry, Fairman, Hadley, Hassan, Heyes, Jaguar, Johnson, Leslie, Moss, Psycho, Spollon, Tidesco, Tyres, Weaver, XK on January 8, 2011 by psychoontyres.